Dies R Us: I Love You, and Coffee! Mikha is here again, and I'm gonna show you something new for Dies R Us Inspirational Blog. The picture might not be much. Few weeks earlier, I saw this beautiful dies called Die-Namics - Dies -Coffee Cup in the store. Since I'm a big fan of coffee, I quickly put it on my shopping chart without a second thought, LOL. I just framed Spellbinders - Nestabilities - Resplendent Rectangle, stamped and emboss "I love you and COFFEE" and also arranged the coffee cup dies near it! I hope you enjoy this and get inspired; and also grab this dies at the STORE, lol. 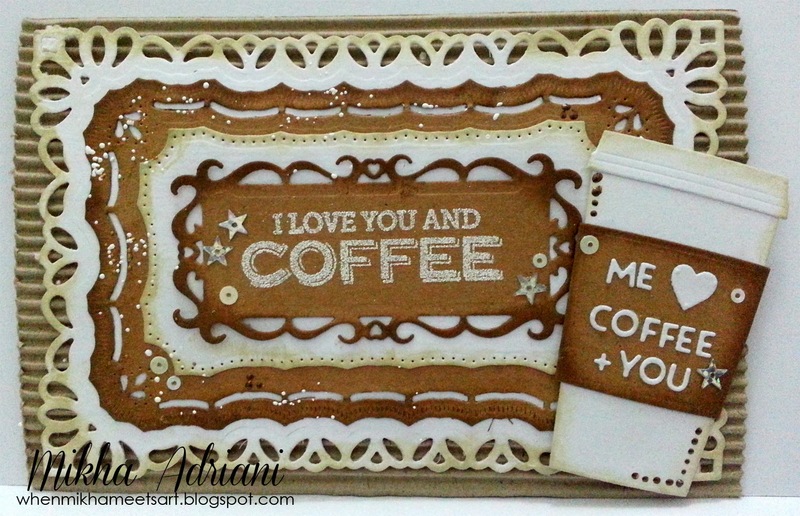 I'm a big coffee lover too & this card is just darling! Love the dies! !